Mold needs only three things to thrive: moisture, humidity and an organic matter to feed on. Molds are found primarily in damp, warm and dark areas and will grow on any organic material such as wood, paper facing on sheetrock and other materials made from wood. They can also decompose some synthetic materials such as adhesives, pastes, paint and on non-porous material like glass, concrete and metal if dust or dirt is present. This makes basements and attics the perfect environment for mold infestation. Five Boro Mold Specialist offers the most thorough mold testing New York has to offer. Since mold spores can spread so easily through the air, mold testing New York is essential in verifying the extent and severity of the existing forms of mold. Our technicians have been offering the most premiere mold testing New York has to date for over 2 decades. A leader in NYC mold testing and remediation, Five Boro Mold Specialist will pinpoint exact areas of moisture intrusion during a mold inspection. In the New York area, we specialize in Mold Inspections and Mold Removal in Brooklyn, Queens, Staten Island and Long Island. We provide complete NY Mold Testing along with a comprehensive Mold Inspection Report detailing all findings of an inspection. Offering the most extensive mold testing and mold removal in New York, Brooklyn, Queens, Staten Island and Long Island, Five Boro Mold Specialist offers a trademark guarantee on our services performed. Let our experience in quality mold testing in New York allow you to regain peace of mind while we address all your mold testing concerns throughout the New York City area. Why Look for Certified Mold Removal Manhattan Brooklyn, Queens, Long Island, Manhattan and New York ? Five Boro Mold Specialist has been providing the most thorough certified mold removal Manhattan has experienced since mold became recognized as a severe issue causing various health symptoms. Call 718-677-6653 to schedule Five Boro Mold Specialist for mold testing New York today! Our mold inspection experts working on mold testing New York, Brooklyn, Long Island, Queens and Staten Island will evaluate areas of suspect growth throughout your home, office or building and take samples in areas, where necessary. Sampling includes both swab and air sampling to verify if mold is present on a surface as well as throughout the air in a specific room. Let the staff at Five Boro Mold Specialist service your needs for mold testing new York and rest assured your situation will be addressed in the most professional and thorough manner possible. We offer the most all-inclusive certified mold removal Manhattan, Mold testing New York has experienced throughout the years. Black mold has been in many news headlines recently with an influx of tenants experiencing issues, necessitating complete evacuation of their homes. Just last week, tenants in Ditmas Park, Brooklyn sued their landlord for failing to address their mold infestations (along with other complaints) and providing them with poor living conditions. The most common black mold symptoms include chronic coughing, eye irritation, skin rashes, difficulty breathing and persistent headaches. Experiencing symptoms of exposure to black mold is also known as black mold poisoning. Therefore, if one is especially sensitive to mold, sometimes evacuation of the premises is the most sensible option until professional mold remediation is performed. There are some steps you can take in trying to prevent black mold from forming. In order to prevent mold growth within a home, humidity levels should be maintained between 40% and 60%. An air conditioner or dehumidifier should be used during humid months. Also it is important to be sure the home has adequate ventilation, including exhaust fans in kitchens and bathrooms. Another important factor is to address any water damage and/or water infiltration into the property immediately, before mold becomes a concern. If you feel you may have a problem with black mold in your home or office space, be sure to have black mold testing performed by a certified professional in New York, Brooklyn, Queens, Long Island or Staten Island. Black mold testing is crucial to verify if black mold is in fact present both on the surfaces in your home as well as in the air you breathe. Performing black mold testing in New York, Brooklyn, Queens, Long Island and Staten Island will provide you with the proper information as to whether you have a black mold issue and if so, how to have a proper mold remediation performed. In order to perform black mold testing in New York, Brooklyn, Queens, Long Island and Staten Island, swab samples would be taken from areas of suspect black mold growth and air samples would be taken as well. Black mold testing is the only way to know for sure if you have a black mold issue. A top Mold Testing NYC company, Five Boro Mold Specialist certified mold removal Manhattan has certified technicians who offer effective mold testing, certified mold removal Manhattan and Mold Remediation NYC services in Manhattan, Brooklyn, Staten Island, Long Island, Queens and Brooklyn. The agency offers services with a guarantee of 2 years, which shows how confident it is with the quality and durability of its assistance. 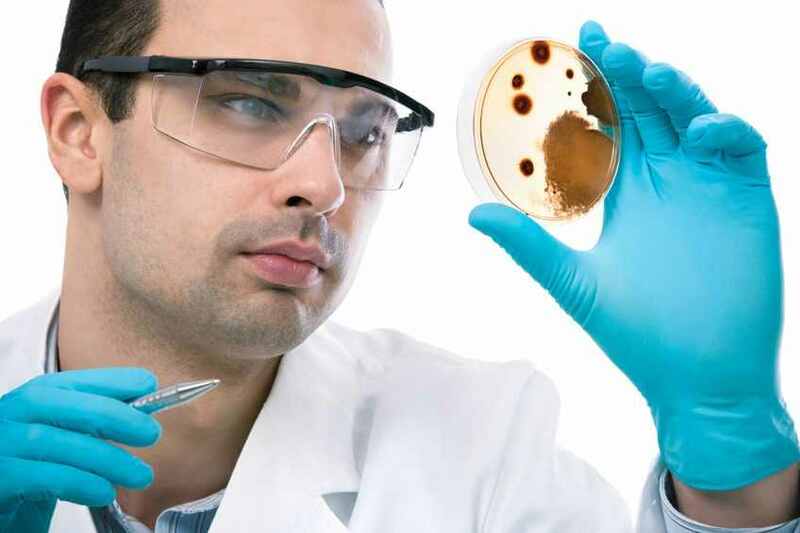 The company has licensed mold testing technicians who are experts at identifying mold and mildew, and using the latest technology and equipments to do away with microbes that enter homes due to moist environment.The guaranteed services of the agency ensure that certified mold removal Manhattan and Mold Testing NYC is easy, and up to the satisfaction level of clients.